Figured I'd make a proper thread instead of continuing to clutter up the c-box. So, I've been going through my old roleplay characters and cleaning them up for the sake of this site. (For example, Thornfang has become Brownclaw/star, and gained more personality and back story.) Among these characters is my old generic queen, Nightflower. Now, after seeing some discussions and thoughts from other people about queens and such, I decided to totally redo her personality, and hopefully make her much less generic. And I've been itching to try her out. What will the policy on kittens be? Will we adopt out kits to roleplayers? Will the mother's roleplayer get to choose who plays the kits? Will they get the right to choose names? How will litter sizes and genders be determined, as well as kitten appearances? Will the last three just be randomly chosen by way of number generator or coin or something? Also, I've come up with an evil rogue character, bent on destroying only one of the clans. Bad idea y/n? First, i'll answer the last question, about the rogue, as the rest is kind of complicated. (Hopefully I'll find a way to describe it.) Yes, it does sound like a good idea, and good luck making it. Now, on to the questions about kits and queens. First of all, you can create the kits, but you can either ask someone you know to roleplay them, or just advertise that you have a kit spot open. You can choose how many kits you have. You and the kits can decide who gets to choose the names, and they can choose their look and their gender, according to your look in some ways, at least. In that case, I'll start on Swan. You'll probably see him either today or tomorrow, when I get a chance to get on and finish the Gathering post. 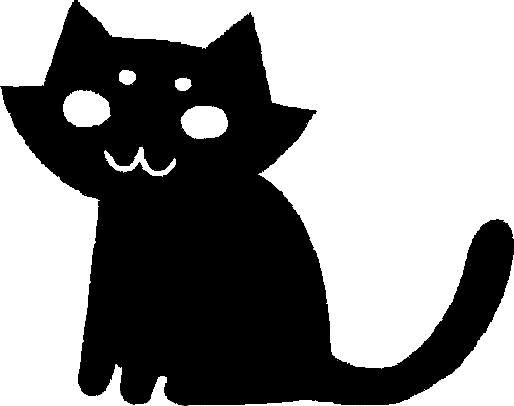 As for Nightflower, if you don't mind I'll make her at some point, when one of the clans has enough cats besides her that the kits can get mentors. (If I can, she'll have two or three, and I'd take one.) If that's okay, of course. Sorry for any mistakes, attempting this on my phone for the first time. Ok, sounds great. And here, in the general board, there's not as much fuss about grammar mistakes and mispelled words, and text talk. So don't worry about it. Ah, but I personally hate making mistakes that are easily avoidable. And so, I don't have much time tonight, but I'll be done with tests by tomorrow, so expect something then. BWAH YOUR WOLF PACK KEEPS GROWING WHAT IS THIS. And now that I have finished with the Math day, I finally have the holiday to myself. So, typing up stuff now. It mostly grows so fast because I have it as a signature for another site, too. XD It's warriors rpg, so I get plenty of people clicking on it because the site is so BIG. It's like this big drama unfolding a little more every time I log in after you. I'm strangely addicted to just clicking on it just because it's interesting. Darn you. And what site is this? That's why I made it. XD I found it addicting. And the site is warriorcatsrpg.com It's really big. Kind've confusing, actually. Sorry, I meant the rpg. ^^'' Your signature has the link, so I'm good there. And apparently if a queen has black fur, then all of her kittens will have black fur unless the father has ginger or cream fur. In that case, the daughters will all be black tortoiseshells. And if both parents are chocolate, then only 75% of the litter will also be chocolate, with the remaining 25% being lilac. Same goes for if both parents are red, except the 25% will be cream. I'm not sure whether to trust this site or not. Umm.... Not sure where you got that, but I doubt it. I don't think that's with all litters. I'd link you to the site, but I'm traveling right now. If you want I can post it when I get back. And normally I agree, but according to another cat genetics guide, boys get their color from their mothers and girls are a combo of their mother and father. If that's true, then I'd be inclined to believe the generator when it says that. I see. Well, maybe your right. Once your done traveling I'll take a look at the site. Cool! By the way, nice new profile name. I like it. if we're alloud to have more than 1 rpg cat, then i'll be a kit. I should get to actually typing up my new characters. Anyone willing to mentor Heronpaw?